CWSDS Day Services staff responded to an advertisement in a local newspaper to submit a proposal for projects to be completed by Canadian Tire Financial Services for their annual “Day of Volunteers” in Ontario. With the assistance of the individuals supported in Day Services, a presentation was made to representatives from Canadian Tire and CWSDS was chosen as the recipient for 2013. Over the spring and summer of 2013, the individuals and staff in Day Services worked closely with Canadian Tire staff to “build the vision of their proposal”. 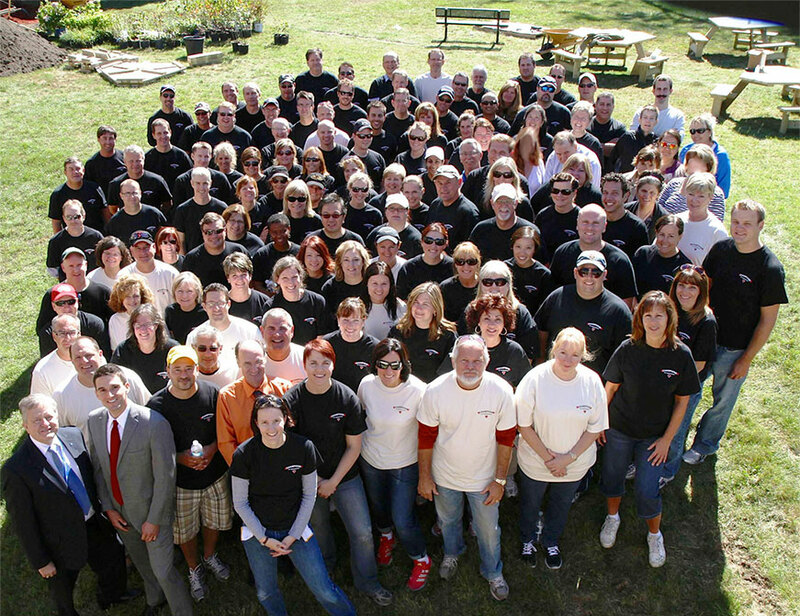 On September 26, 2013, over 100 Canadian Tire volunteers from across the province spent the day at CWSDS. At the end of the day, we had fully accessible walkways, gardens, outside furniture, planters and a gazebo. The volunteers also helped to clean up some existing gardens and donated several Bar-B-Qs, shrubs and a shed. Indoors, CWSDS was the recipient of freshly painted Day Services hallways and activity rooms, new window coverings and kitchen cabinets. It was a wonderful experience for everyone involved and we thank Canadian Tire Financial Services! At the end of the day, we had fully accessible walkways, gardens, outside furniture, planters and a gazebo. The volunteers also helped to clean up some existing gardens and donated several Bar-B-Qs, shrubs and a shed.